How do I filter the data in the timesheet section? 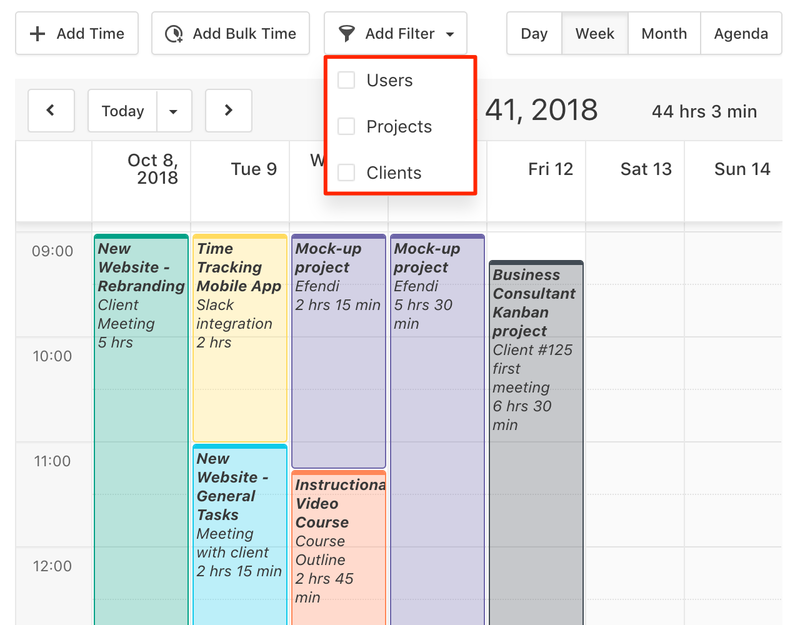 Clients, users and projects have their own timesheet section filtered by client, user or project. There’s also a general Timesheets section that displays all the time entries from all clients, projects and users, and if you wish to get a more detailed view, you can click on the Add filter option and filter by client, user or project.